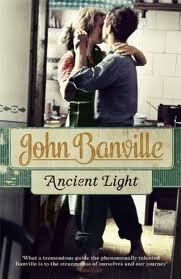 To be honest, I wonder if I’m clever enough to read John Banville. I’ve read other books of his and admire his smoothness, his archness, his reflexivity and most of all, the control he has over his writing. It seems that recently I’ve been reading books which, though enjoyable, are a bit flabby and undisciplined. Banville’s neither of these things. I’m increasingly feeling that transitions are the litmus test of good writing, and Banville can shape up a long chapter and switch between time periods and plot lines almost without you noticing. He’s good. There are two main narrative lines in this book. The narrator is Alexander Cleave, in the autumn of his acting career who has unexpectedly been called up to make a film “The Invention of the Past” about Alex Vander, based on a script written by J. B. He is rather flattered and surprised to be approached for the part, but his mind is really not on the film. His adult daughter has committed suicide some time earlier and he can hardly bear to think about it, so his mind skitters off to other thoughts. Instead, he reminisces about the affair he conducted as a teenaged boy in a small town in 1950s Ireland with his best friend’s mother. He calls her Mrs. Gray throughout the book, as they indulge in furtive couplings in the laundry and in the midst of the fug of domesticity, and in a rundown cottage in the woods. You know that they are going to be caught eventually: he tells you as much, and so each time he goes back to describing the illicit gropings and the fervent pumpings, you feel quite nervous for them both. Banville switches between the two narratives quite effortlessly, while undercutting your faith in the fidelity of the narrator’s memories. Alexander himself admits that the memories are probably wrong: he has the impression that it was raining during a particular event when he knows that it was a hot and dusty day instead; the details are somehow skewed in his memories and he can’t quite work out what’s wrong with them. Banville has been leaving hints throughout the book that Alexander can’t be trusted, and finally when Alexander mentions Gary Fonda in The Grapes of Noon I eventually acknowledged that, despite his urbane demeanour and smooth narration, Alexander is a very unreliable narrator. But that’s not the only thing that made me feel rather stupid in reading this book. His daughter’s suicide was obviously fundamental to the story, and yet it seemed such an underdeveloped plot line. In the back of my mind I had something about Cass and a suicide into the ocean below a castle…and Alex Vander, he sounded familiar… Was there something that I should know that I didn’t? Well, yes. This book is actually part of a trilogy and I’ve even read the other two books without realizing that they were all related!!! In fact, I didn’t realize it at all: I had to read it in reviews of the book by people who are obviously more astute than I am. The allusions to the other books and the reflexivity on Banville’s own performance as a writer and puppet master were being piled up higher and higher at the end of the book- and because he is the brilliant writer that he is, they didn’t sink the whole endeavour as they would in less skilled hands. Then there’s the vocabulary! I’m no slouch vocabulary-wise but I’d never heard of ‘brumous air’ ‘caducous leaves’ etc. etc. I started writing them down to look up later, but there were too many. Doesn’t matter- it’s good for me to realize that someone has a vocabulary that far, far outstrips mine. I wonder if Banville actually has those words in his consciousness all the time, or whether he’s playing a game of word one-upmanship here. So, while this book made me feel rather abashed and stupid when I finally realized what was going on, I did enjoy it. The story of the obsession and selfishness of young love stands on its own two feet and doesn’t even really need the other Alexander/Alex Vander thread at all. Ah, but then it wouldn’t be a Banville, would it? Read because: I wanted to read a book with chops. Well, yes, I was a bit dubious about this one. There’s Banville whose work I love, and then there’s Banville who makes me feel cross. It would be unfortunate IMO if a reader stumbled onto one of his more off-putting works first, because then that reader might dismiss him as an author and then miss out on some great stuff…..